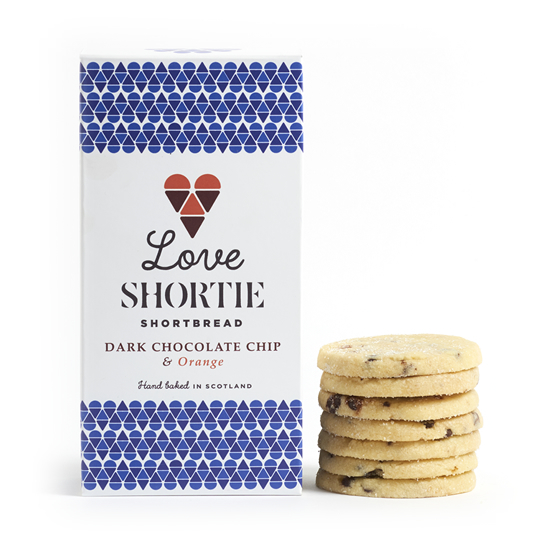 Our all butter shortbread blended with rich Belgian dark chocolate chips and infused with zesty natural orange oil for a deliciously moreish flavour. Each pack contains ten round biscuits. Ingredients: Wheat Flour (with Calcium Carbonate, Iron, Niacin, Thiamin), Butter 30% (Milk), Sugar, Chocolate Chips 8.2% (55% Cocoa Mass, Sugar, Cocoa Butter, Soya Lecithin E322, Natural Vanilla Flavour), Fine Sea Salt, Orange Oil (0.26%).